The Greek rockers Outloud have released 3 full length albums before this one, all worthy of your hard-earned cash, if you ask me. If you're familiar with any of those, you'll know what to expect - energetic melodic hard rock with big hooks. The band delivers that on "VHS" but with some new elements. The Outloud main men Bob Katsionis and Chandler Mogel have never shied away from a pop hook, but on this album they've added some keyboard things that might be too much for Heavy Metal purists. Yep, there are traces of old school Eurodance on some of these songs, somewhat reminding me of Amaranthe's dance pop/metal hybrids. 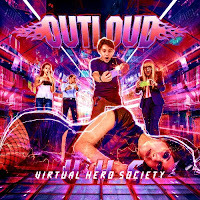 Thankfully the obligatory rappers of nineties' Eurodance are nowhere to be found, Outloud have just borrowed some synth sounds from the past. The opening track "Fools' Train" is one of the heavier, more guitar-oriented songs, and doesn't really show what's coming next. With "My Promise" the band goes into the "disco metal" mood, and damn, it's contagious! 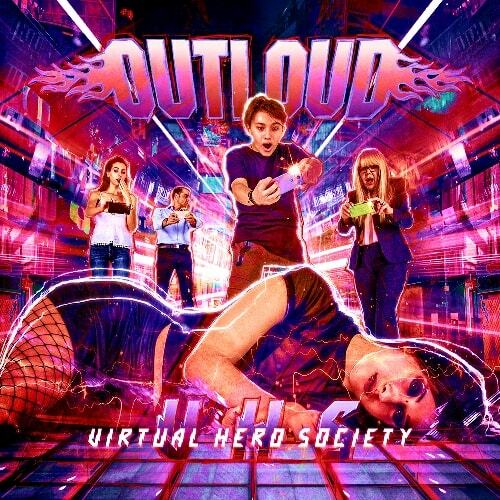 "Virtual Heroes" is again much heavier and more lyrically more serious, but with "I Am The One" we're back in Hard Pop City. The almost progressive AOR ballad "Share My Dreams" is something quite different but still very good, followed by another AOR-type track "World-Go-Round", with a sax solo. Then you'll get the Bon Joviesque "whoa-whoas" of "We Got Tonite", accapella ballad "Fallen Love" and two hard edged rockers "Live With It" and "Fight On!". Somewhere between those aforementioned tracks there are two songs that are Outloud's speciality, ultra-melodic "schlager metal" songs "Borrowed Time" and "...And I Tried". Whereas most hard rock bands rely on the anglo-american pop tradition when it comes to melodies, these songs (and several older Outloud songs) seem to take their melodic influences from some other place. The melancholic melodies remind me a lot of the 70ies/80ies Finnish schlager/pop, which itself was in many cases imported from abroad and translated to our native language. Let's call it "European melodic sensibility". I remember hating the schlager music with vengeance as it was dominating the air waves back then, but the times have changed and now those melodies work like a charm, when combined with hard edged music. What else... Vocalist Chandler Mogel sounds like a hyper-energetic version of Danny Vaughn (Tyketto), he just sounds very excited when he's singing. I haven't seen the band live but I could imagine that he's a real dynamo on stage as well.